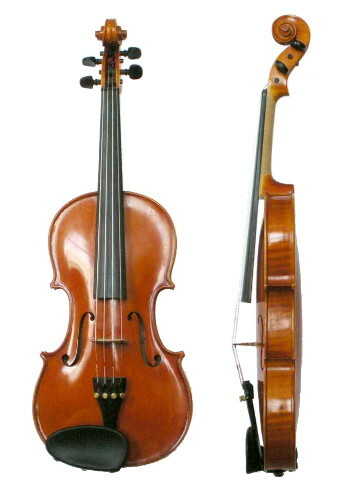 Violin (скрипка; skrypka). A bowed string instrument. Older types of this instrument existed in Ukraine as early as the 9th century. The hudok (medieval fiddle) is depicted on an 11th-century fresco in Kyiv’s Saint Sophia Cathedral. In the territories of Western Ukraine a three-stringed fiddle (skrypytsia) was known from the 14th century. 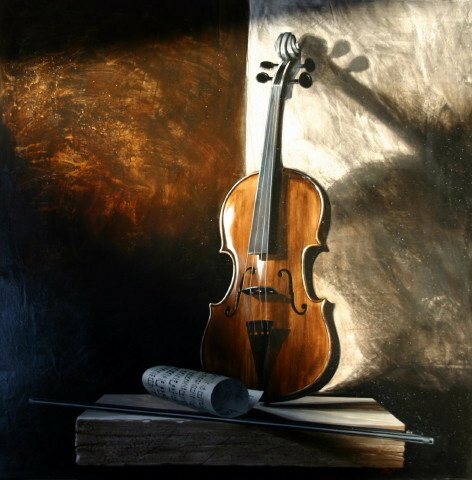 The modern violin, developed in Italy, was introduced into Ukraine at the beginning of the 17th century and became extremely popular as a folk instrument in ensembles of troisti muzyky. Vibrato, a modern violin technique, originated in Western Ukraine and Poland and was first described by M. Praetorius in Syntagma musicum (1618). During the 17th and 18th centuries interest in the violin led to the growth of Western-style orchestras in Ukraine. In the early 19th century Havrylo Rachynsky became Ukraine’s first touring concert violinist, and in the 20th century Bohodar Kotorovych, Oleh Krysa, and Steven Staryk have emerged as outstanding Ukrainian violinists. Well-known contemporary Ukrainian violin makers include T. Pidhorny and V. Mochalov.